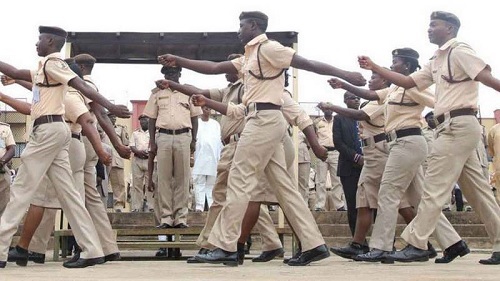 A total of 4,797 officials including service men of the Nigeria Immigration Service, have been promoted, the Comptroller General has revealed in Maiduguri. The Nigeria Immigration Service (NIS) on Monday said it had promoted 4,797 officers and service men as part of comprehensive campaign to boost the morale of its personnel. The Comptroller General, Muhammad Babandede, disclosed this at the inauguration of the 2018 Comptroller General Annual Conference in Maiduguri. Mr Babandede disclosed that 3,405 officers and men, who suffered unnecessary stagnation, were promoted to the next ranks while 1,392 others were promoted through conversion and upgrade. He revealed that comptrollers and other senior officers were exposed to leadership skills and junior officers were trained on administrative skills while retiring officers were also trained in the past one year. Mr Babandede added that a new curriculum had been introduced in its training schools to build the capacity of its personnel to enable them to discharge their duties effectively, adding that the service accorded priority to the training of personnel. Mr Babandede said the service had also adopted proactive visa reforms in line with global best practices, to deal with cumbersome processes and ease difficulties encounter in visa processing. The CG revealed that 24,840 approvals for Visa on Arrival (VoA) and 7,114 temporary work permit were issued since January. He added that biometric visa had commenced in 17 missions and would be deployed to airports. According to him, the federal government has approved a new ‘polycarbonate e-passport’ with a 10-year validity, which would be unveiled in December. Mr Babandede explained that about 25 features were added to the new booklet for enhanced security with the support of its partners ISTIL. “It is not enough to launch a new document if the process to acquire it is deficient. In this regards, we are tackling the problem of lost passports seriously,” he said. He called on the people to desist from fraudulent acts while applying for issuance of passport, warning that erring applicants and officers would be prosecuted. On infrastructure development, Mr Babandede disclosed that the service had initiated various projects to create an enabling operational environment for its personnel and transform its services. The CG disclosed that modern office accommodation were inaugurated in Kano and Jigawa, while similar projects were ongoing in Plateau, Imo, Nasarawa, Gombe, Enugu and Ekiti States. 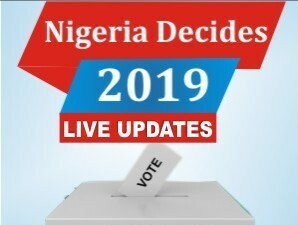 Mr Babandede said office and barrack space facilities at Seme, Idi-Iroko, Mazanya-Jibiya, Imeko and Illela as well as Maigatari, Shaki and Seme would soon be commissioned. He said the essence of the Forward Border Patrol Base was to enhance surveillance and check dangerous movement in the Sahara Desert and Mediterranean Sea. The service, he added, also implemented Information and Data Analysis Platform (MIDAS) at Lagos, Abuja, Port Harcourt and Enugu International Airports, to enhance security and processing of migrants’ data. “The federal government last week approved N7 billion for construction of and furnishing of Technology Building. The building will revolutionise our jobs, all data in one house interfacing with each other. “We have taken delivery of 114 patrol vehicles; 93 flag cars, 14 buses four ambulances, 9 trucks and 12 SUVs for passport operations and distributed officers and operational units,” he added.